Morning everyone, hope everyone is refreshed and ready to be creatively challenged again this week. AND...I'm so excited to welcome two very talented ladies to the DT this week, Hazel and Lisa (go check out their blogs on the side bar). 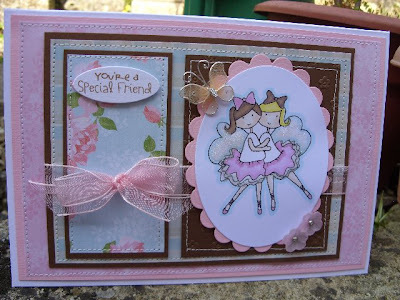 I'm thrilled with the DT cards this week, they were given one of our newest downloads to work on, Best Friends. 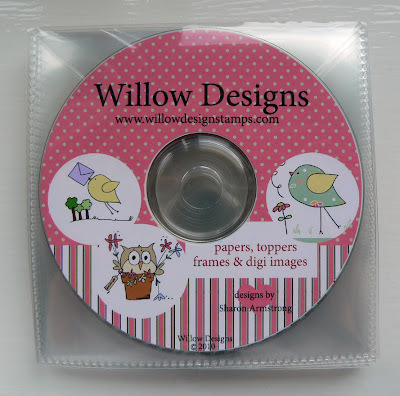 To welcome our new DT members we are giving away a spot prize this week, a CD with a collection of downloads on from Willow Designs! The CD will only be given away to entries who have used at least one product from Willow Designs in their challenge cards so, hurry...go take a look on site here. 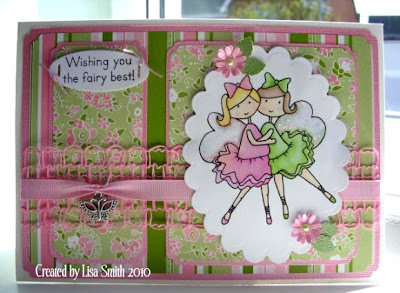 Fab DT cards as always and I spied that download last week- really nice! Here's my card using the Missy download. Delightful sketch and super cards from the DT ladies.